Overwhelmed? 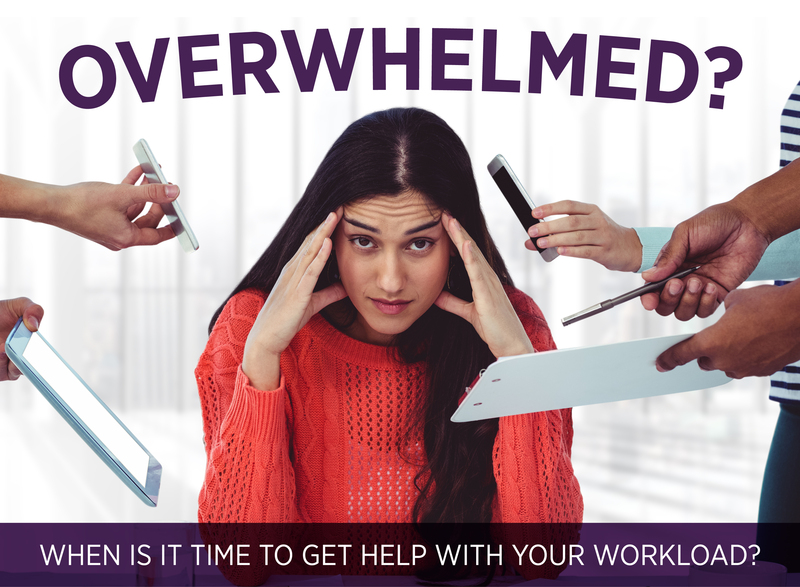 When is it time to get help with your workload? If you are a person who writes and produces proposals for your firm, you have been down the road I am describing. Despite how organized you most likely are, you are having trouble keeping track of which proposal is due when and what each needs to contain because of the sheer quantity you have on your plate. Everyone in your role feels this way occasionally but if this is becoming a weekly reality, you have a problem. A consistent pile of proposals and work is not going to be properly accomplished by one person or maybe even a team. If your firm’s management is accepting proposals at a rate that is out of control for you or your department’s capabilities, then it is imperative to get help ASAP if a firm wants to continue submitting a quality proposal or qualifications package. What if you are not a member of the senior management team? What can you do? The answer is: communicate, communicate, communicate. Take stock of your abilities vs. workload. If you have been in your role for a while, you likely have a sense of this. If not, determine how many proposals you can adequately process in the timeframe you have to work with. If necessary, think back to proposals you have done and the time it took to complete them. Guesstimate if necessary and then talk to firm management immediately once you suspect you cannot respond to submittals in time to meet deadlines. If you and your firm do not have the capabilities to process proposals properly, hire an outside firm to assist you with getting through the immediate workload. A professional services marketing firm can work with you to determine how best to proceed and organize everyone’s time in meeting deadlines and producing quality submittals. They may take the first pass at a proposal, be an editor or handle the production or more than one step. Your firm’s management may need to discuss hiring additional staff if this becomes a regular occurrence and if they want to take on the long-term expense associated with hiring permanent staff. They may decide that it is more cost-efficient to bring on temporary help when it is needed. These are discussions that can take place once you are “over the hump” of immediate deadlines. The most important thing to remember is that you will get through this and your firm’s management should be on your side during the process since the job of getting business benefits everyone. If you are not getting support, make sure to communicate this constantly. Your efforts can be the impetus needed in order to initiate change within your firm. 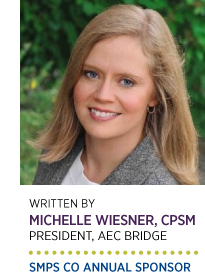 Michelle Wiesner is the President of AEC bridge, a lead cultivation and contact development firm focused on the AEC industry. Michelle has over 20 years of experience in the industry as a marketer and business developer and works with firms nationwide to support their marketing and business development efforts.